Ohio, home of the first concrete paved street in America, used to be known for making and building things. Now we seem to be more interested in selling them. The new state budget calls for a massive sell-off of Ohio public assets worth billions of dollars. Among the properties that may be privatized are the Ohio Turnpike, six prisons and the liquor distribution business. The budget also authorizes local and exempted village school districts to contract out their bus transportation, universities to enter into agreements transferring buildings and parking facilities to outside entities for up to 99 years, and cities to lease their parking meters for up to 30 years. Operators of a privatized turnpike or liquor business, as well as new entities holding university buildings, would not pay taxes. 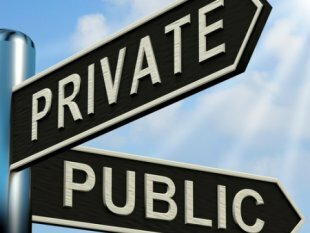 Little evidence has been put forward that the public will benefit from this slew of privatization moves. In some instances, we may be giving away public assets, which taxpayers have spent considerable sums to build, for less than they are worth. Based on developments elsewhere, privatization also could limit our ability to make decisions about public infrastructure and deliver good service. Nearly all of these prospective deals raise the question: Will the public be able to find out how well services are being delivered and keep tabs on the private monopolies that will be providing these services? Besides the privatization moves cited above, the new Ohio budget also includes changes in the governance of JobsOhio and a $1 million appropriation for the newly created nonprofit entity, which is taking over economic development for the state from the Department of Development. In addition, the budget contained numerous changes in the law affecting primary and secondary schools that allow for additional private-sector operation of K-12 schools and monies going to private schools. Policy Matters Ohio will address these policy changes involving public schools in a separate release. Here is a brief rundown on some of the privatization moves in the budget.